C.T.A.A.S.A. - Chesterfield Township Alliance Against Substance Abuse was established in 1990 as part of the the N.J. Governor's Council on Alcoholism and Drug Abuse. The Alliance is made up of volunteers who plan, coordinate and conduct alcoholism, tobacco and other drug abuse prevention activities as a community based prevention program. 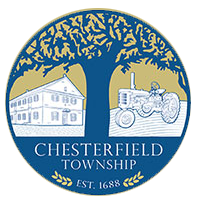 The Chesterfield Alliance was established by the Township Committee and has representatives from education, health, law enforcement, civic and business organizations. C.T.A.A.S.A. has completed needs assessments, the most recent one in 2017. They submit a yearly grant based on needs assessment and receive approval from the Governors Council on Alcoholism and Drug Abuse through Burlington County. Funding for the Alliances is provided by Drug Enforcement Demand Reduction (DEDR) funds and some municipal matching funds. To date the CTAASA has funded assemblies and drug education efforts at the elementary school, Red Ribbon Week, Poster Contests, the L.E.A.D. program for 6th grade, the CTAASA Mentoring program. The CTAASA Mentoring program is a four-week, 3 days per week program held during July for children Kindergarten to 6th grade. The program also recruits Junior Counselors that are made up of Chesterfield students from 7th to 12th grade. During this program, children will rotate through different educational workshops. Meetings are at the Chesterfield Municipal Building in the Conference Room at 295 Bordentown- Chesterfield Rd. For further information, please contact Brittney Chenosky at (609)298-2311, x-105 or use the form below.